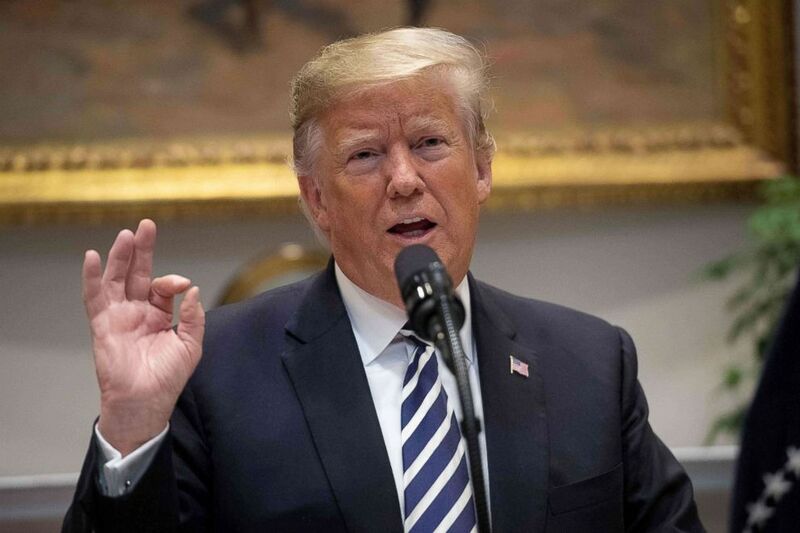 Nigeria’s largest military arm on Friday appeared to use the words of U.S. President Donald Trump to defend its shooting of protesters over the past week. The official Twitter account of the Nigerian Army, one of three service branches within the Nigerian Armed Forces, posted a video showing a clip of Trump’s speech at the White House on Thursday regarding illegal immigration and border security, in which the U.S. president said that throwing stones and rocks at American troops would be considered as firearms. The White House did not immediately respond to ABC News‘ request for comment Saturday. Since earlier this year, protesters have frequently flooded the streets of Nigeria’s capital, Abuja, to demand the release of Ibrahim Zakzaky, the jailed leader of the Islamic Movement of Nigeria (IMN). The movement, which is headquartered in the northern city of Zaria, has become an outspoken advocate for Shiite Muslims in a country dominated by its Sunni counterparts. Zakzaky has been in federal custody since December 2015, when Nigerian security forces killed hundreds of his followers. The Shiite cleric was held without charge until April and now remains detained as he’s accused of murder relating to the 2015 violence, sparking an uproar among his followers. Last weekend and on Monday, security forces sprayed bullets and tear gas at supporters of the Islamic Movement in Nigeria as the group marched on the outskirts of Abuja. Nigeria’s defense spokesman, Brigade General John Agim, said in a statement that the demonstrators wounded soldiers with rocks, damaged military vehicles, blocked traffic and tried to overrun a military checkpoint that leads into the federal capital territory. Six protesters were killed, according to Agim, who said troops came under „unprovoked attacks“ that were „planned and premeditated“ by demonstrators. „In all these attacks, the IMN was the aggressor while the military only acted in self-defense,“ Agim said in the statement Thursday. 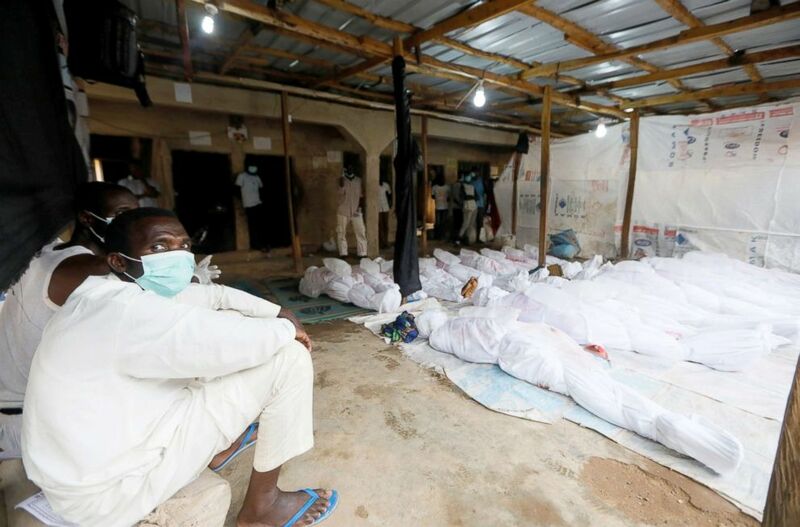 Bodies of members of the Islamic Movement of Nigeria, who were killed after security forces opened fire during the Shi’ite group’s protests in Abuja, are pictured before their burial in Mararaba, Nigeria, Oct. 31, 2018. 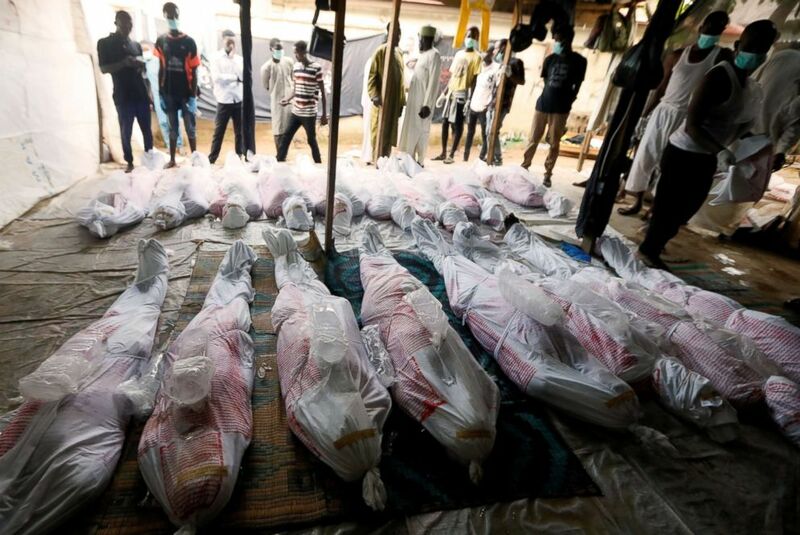 At least 45 supporters of the Islamic Movement in Nigeria were killed by security forces on Saturday and Monday, as the group held two days of „peaceful gatherings“ around Abuja, according to the London-based international human rights watchdog. Amnesty International lambasted the Nigerian military’s „horrific use of excessive force“ and said researchers have „strong evidence“ that security forces wielded automatic firearms during Monday’s protest. President Donald Trump speaks about immigration in the Roosevelt Room at the White House in Washington, Nov. 1, 2018. Nigerian Army spokesman Brigadier General Texas Chukwu did not respond to ABC News‘ requests Friday for comment on the tweet and why it was taken down. „Basic human rights are not subject to whims of the world’s leaders,“ Osai Ojigho said in a statement Saturday. ABC News‘ Meridith McGraw contributed to this report.